Effective April 1, 2009 RV Park is CLOSED. Rumor has it, another one may be built at another location on base. It is now shut down. On the former site of the campground is the Marine Reserve Headquarters. I was the last chaplain assigned here to the base chapel and now it is planed to be "Federal City" so no more recreation programs. The NAS at Belle Chase just completed a new campground with paved pads and working Laundry. Sadly this base is closing. The NEX, commissary and fitness center are already closed (moved to Belle Chasse they say in the pass office here, the temporary lodging facility will be closed May 31st and the gas station is closing on June 4th. I was told the whole base will be shutdown by Sept 1 this year. Just an update... Drove by the base when I was in New Orleans last month and the new construction where the old RV park was is well underway. I did notice that there is a "park" of FEMA (?) trailers up against the fence on Gen. Meyers Ave. Didn't get the chance to drop in and find out what are there plans for the future. I do hope that they replace this RV park. It is the perfect place to stay while visiting New Orleans. I will put in a plug for Bayou Segnette State Park, just off the Westbank Expressway out near Avondale. Not as convenient, but is fairly inexpensive, well kept with really friendly staff. Only $18 per night in the off season. We spent 4 nights there. M.R. 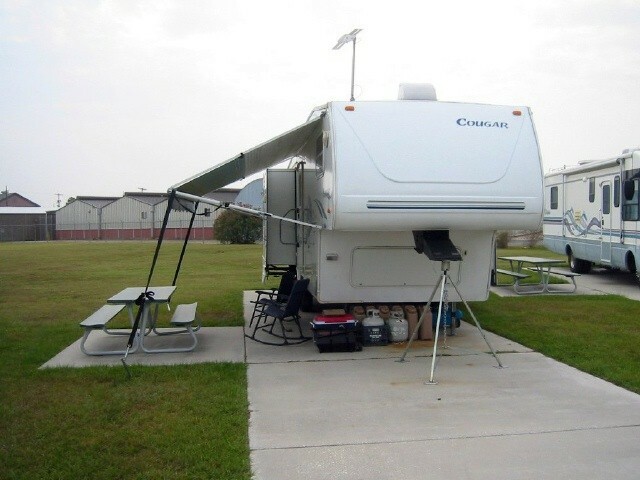 left this review using the Directory software: Sorry to see this RV park close. Hopefully the new RV park will be built soon. It is so sad they are closing this park. It is great. The exchange and commissary are just across the parking lot. It has nice level lots. We rode our bikes to the ferry and walked the French Quarter. I Was worried about getting here, but the directions and roads are no problem for our 39 ft. 5th wheel. We love this park. Nice concrete pads, however this park is closing March 2009. The new Federal City is taking over the property and the base is going to close this RV park. 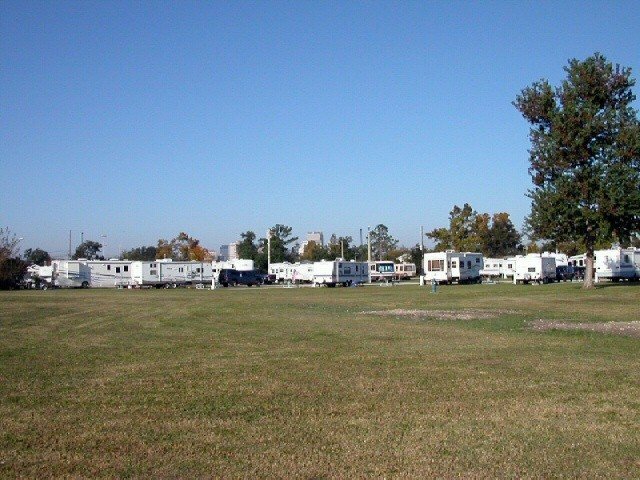 This is very sad because there is not another decent RV park on the Westbank. 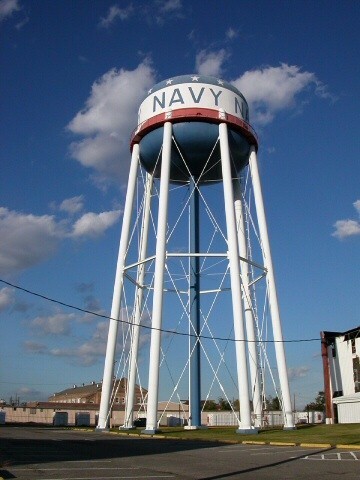 There are plans to build a new RV park on the Naval Air Station in Belle Chasse, but that will be years down the road. Boy has this place gone downhill. The manager is still great but near impossible to find. The new hosts are worse. Almost never around on weekends, the grass goes for weeks without being cut and it looks like no one has run the weedeater in months. They have a huge dish for satellite internet, but no repeater dish on the office so the only one who benefits is the manager. The price has no discounts for weekly or monthly rates like other campgrounds. It seems they have fallen into the typical New Orleans laid back attitude that the civilian population has had for years - its just too much effort to fix it. Nice level concrete pads. Hookups were at rear of pad. Fresh water and sewer right next to each other. You need a long sewer hose if you want your door near to the picnic table. Sites on the outside of the loop require a right hand backup to park (I hate right hand backups). WiFi available if you are close to the office. We were in site 28 and had a weak, but usable, signal. Network is called "Poree". F.A. left this review using the Directory software: They may have named this place Magnolia Shade when there were trees, but it sure doesn't have any shade now. A good visit was had. We found the camp host, Wally, very helpful with all of our questions. We called on the way in, he gave us excellant directions to the park. It was quiet there during our visit. All the info we got from the "locals" was good! When in the area you want to be sure and get a MUFFALETTA! Was great for my 50 state golfing trip. Arrived , no problems, very clean appearance, easy on and off base. It is closing in 2010. Shame, lots of full time active living here. But spaces are kept for passer throughs. Would stay here anytime. Campground is easily accessible to New Orleans and other sites in area, make sure you look into the ferry for transportation to the French Quarter (pedestrian and car). Yes, it can get a bit muddy when it rains but that comes with the territory. All base amenities are open 7 days a week except for the commissary. It is difficult to find, don't rely on your GPS navigation system fully, it will only cause you to get lost. As the Military campground book states, get directions ahead of time, if you can find the camp host in his office (see directions in other review above). All in all, we will definately return here to see more of the area's beauty. This was our first trip since the big storm. The camp is fully recovered, the camp hosts were very nice, we stayed for 11 days recently and found the place clean and run very well. There is a noise problem, the civilian neighbors just across the fence plays loud music and there is late night parting going on. The camp/ military does not have control of it. I think we just need to put up with it. This is nothing that would stop me from returning. It is a short drive to the ferry to down town New Orleans. The city has recovered and in my opinion it is cleaner and safe than it was before the storm. Algiers seams unsafe, I would not want to take the return ferry after dark. Amazing location on several levels. The manager is very friendly and helpful but some times hard to catch. He is very involved in a very active MWR program. The location on base is simple but well located. Commisary is 100yds away. Even an Auto Hobby shop on base. Good fuel prices. Washer/dryers worked well. Keep an eye out for fire ants. Some might be put off by the location in an old Algiers neighborhood. The Google directions are accurate and take you up a neighborhood street to the West Gate. If you turn left off of General DeGaulle and left again on Shirley that will take you to the main gate. Then follow the directions on this site to get to the West (Commercial) Gate. The French Quarter is definitely up and running although still understaffed. There is parking on the Algiers side of the free ferry. $5 on weekdays/$10 on weekends for supervised parking. To far to walk. Parking in the Quarter is expensive and crowded. This installation is living under the BRAC cloud possibly closing but still well worth the visit. 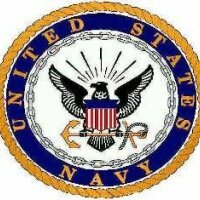 I am active duty and stationed here. I chose to stay here since housing is so miserable in the New Orleans area. For a short stay, this park is convenient to downtown and the PX and Commissary are very close by. The road is gravel with many potholes - GO SLOW. The rate is the same for all ($15). If you arrive after hours or prior to your reservation, just park in the PX lot and check in the next day. If you talk to the park manager, he will charge you $10 to do what you can do for free without telling him. If it rains, prepare for a flood. Almost all sites will be an inch or two under water after a hard rain. Laundry and shower room are very small and sometimes not working. When we arrived we had to stay in dry camp which was the parking lot adjacent to the campground (and they still charged us $10 a day for a parking lot!). We were then able to move to a full hook up site. Sites were very nice but have a lot of drainage problems when it rains. They provided pallets for the gravel sites if that tells you anything. Staff was very friendly and helpful. This is our third time to visit this park, being that it is one of our favorite Military campgrounds. We hope to return again soon. All campground sites are now available. Additional park adjacent to campground is for FEMA. Will probably someday be part of the campground. The car ferry is running over to the French Quarter and it sounds as if the Quarter is up and running again. Great accommodations. Nice manager and assistant. They really want you to enjoy yourself.